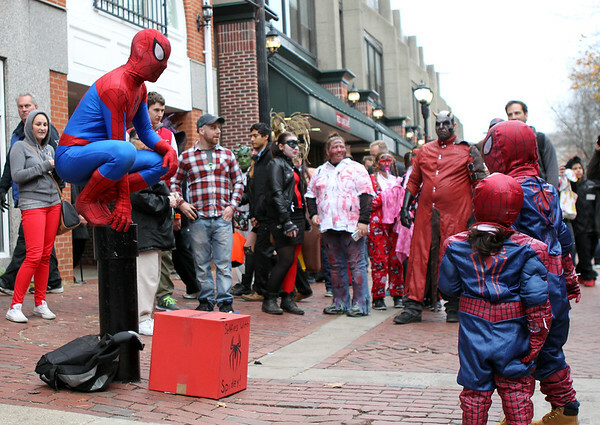 A confused Spiderman perches atop a post as three other Spidermen stand in front of him on Friday afternoon. DAVID LE/Staff photo. 10/31/14.